Building a room addition is a big decision. On the surface a room addition has many advantages over other solutions for providing new living space. However, with any solution, there are pros and cons with each. Summarized below are four key tips for building a room addition that will save you money, time and headaches down the road. Building a room addition is like building a new home as it involves excavation work, foundation installation, extensive framing and roofing, electrical, HVAC, insulation, drywall, finish carpentry and plumbing work. Finishing a basement or attic, on the other hand, may be a much more cost effective solution for gaining similar living space area. Finding and hiring the right home addition contractor is second to none in priorities of ensuring a successful room addition construction project. With smaller home improvement projects its less of an issue, at least in terms of expenses, if you don’t do your homework and properly screen for the right contractor. Make the same mistake hiring the wrong room addition contractor, however, and you could find yourself in a morass of cost overruns, schedule slips, and shoddy work. Always make sure to do thorough background checks on prospective contractors and hire only the best, even if it means spending a little more money. Don’t limit yourself to just one or two bid proposals. 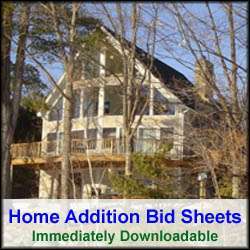 Aim for at least 3, and preferably 4 or 5 bids from prospective home remodeling contractors. This way you’ll get more of an accurate idea of what the average cost of the room addition project should be. One of the best ways to compare room addition contractor bids is to come up with a cost per square foot for construction costs. Often contractors provide this information. For the ones who don’t, simply divide the overall cost of the room addition contractor bid by the amount of square feet of the room addition. Higher costs per square feet proposals could be the result of using better materials, or the contractor simply charging higher labor rates. This is an extremely important thing to do if you truly care about the eventual resale value of your home. 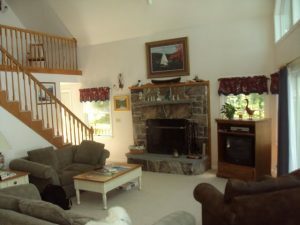 In some cases it may make absolutely no financial sense to build a room addition, depending upon the cost to build it. With a market analysis of your home, with and without your room addition, you can also determine how big and how much you want to Porsche out your new room addition. Follow these four basic steps when contemplating building a room addition and you’re more likely to make a smarter decision and increases your chances of a successful outcome.